Travelling to or from Finland? My Baggage’s convenient and affordable luggage shipping services make transporting your luggage there and back an easy process. My Baggage takes all of the stress out of transporting your luggage to Finland. We offer an alternative to transporting your luggage overseas; you can wave goodbye to expensive airline baggage fees and out-of-budget removals. Our low-cost and convenient door to door collection and delivery service helps you to save time and money whilst you travel. Finland is a Northern European nation which borders Sweden, Norway in the north, and Russia. On the south side of Finland is Estonia. 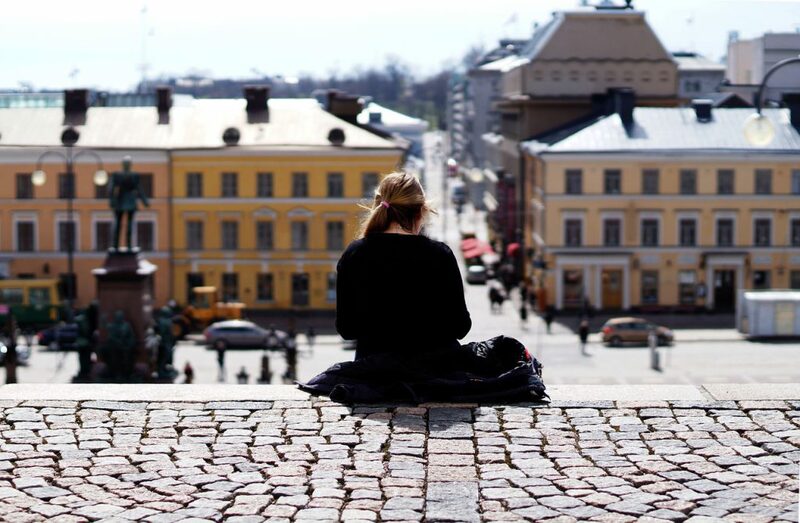 Finnish and Swedish are the the two official languages of the country, which boasts a population of 5.5 million people. Helsinki is the capital and largest city in Finland, which receives visitors all year round, but particularly around Christmas time. Jyvaskyla and Tampere are also popular destinations. If you’re flying to Finland, it only makes sense to carry your baggage with you on your flight. However, in doing so, you need to keep in mind your airline’s often restrictive baggage weight allowance. It could mean that you might have to make the sacrifice that no one wants to make, which is leaving some of your personal belongings behind. And even then, you might still be slapped with excess baggage charges at the check-in desk. When it comes to relocating, hiring a traditional international removals company to transport your belongings overseas makes sense. Generally speaking, they are excellent for shipping large, bulky items such as sofas, beds and even your car. However, if you happen to find yourself on a strict budget and a tight timescale for your big move, you might find that the cost and transit times don’t exactly align with your needs. After all, some international removals can take up to two months to arrive, depending on the route. Why Ship Your Luggage To Finland With My Baggage? My Baggage provides a welcomed alternative to transporting your luggage. We strive to remove all of the stress and costs involved. When you choose to ship your luggage with us, you can wave goodbye to expensive airline baggage fees and out-of-budget removals. To send a care-package to a loved one in Finland. At My Baggage, we understand the apprehension you might feel about handing all of your worldly belongings over to a delivery driver. That’s why we make it our aim to provide an international luggage shipping service you know that you can trust every single time. What’s more, our convenient door to door collection and delivery service means you don’t even have to worry about leaving the comfort of your own home. We take care of it all! For that extra peace of mind, if you happen to have any questions or concerns along the way, our customer support team will be on hand to help. You can contact our team via phone, email and live chat and they will be more than happy to lend their assistance. When you book with My Baggage, you will be kept up to date from the moment you place your booking until the moment your luggage arrives safely at its destination. Our online tracking tool will allow you to monitor the progress of your shipment every step of the way! Not only are our services affordable (we offer a price match if you happen to find a better price elsewhere, too) but we offer value for money. With My Baggage, you can ship a massive 30kg/66lb box or suitcase for as little as £33. You can send as many as you like! My Baggage’s convenient luggage shipping services are open to everyone! Whether you are a personal user, travelling to Finland to study abroad or to simply enjoy a holiday, or whether you’re a business user. No matter your reason, you can take advantage of our competitive pricing and door to door shipping services, to save money whilst you travel. Maybe you’re a keen cyclist that’s wanting to explore Finland by bike or you could simply be looking for a way to get from A to B during your time in Finland. Why not ship your own bike to Finland with My Baggage? 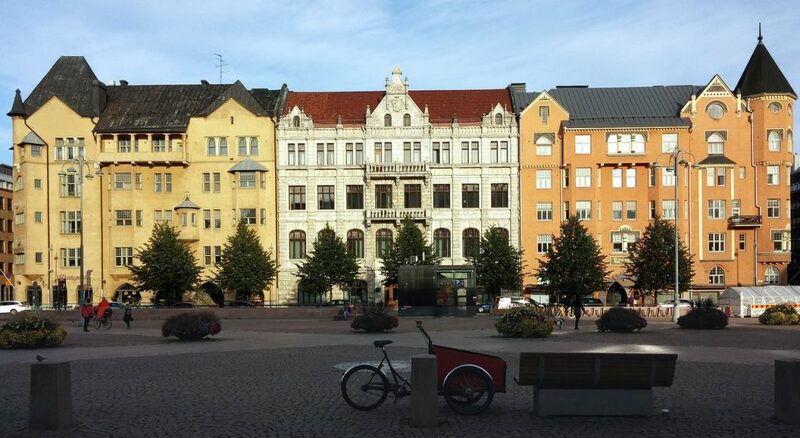 Finland is home to some stunning spots and having your bike here means you can head out and do some sightseeing on your bike, without spending a penny. When shipping your bike to Finland with My Baggage, you will need to dismantle it before shipment and place it in a strong, double or triple walled cardboard box. If you’re not sure how to dismantle your bike, you could simply watch an online video that explains how to do it. However, many go for the easier and much safer option of heading to a bike shop and paying a small fee to get your bike dismantled by someone who knows exactly what they’re doing. If you have a loved one in Finland and you want to show them that you’re thinking of them, you can send them a care package. This care package could be a box with some of the receivers favourite items inside. You can ship this care package to Finland with My Baggage at an affordable price. Although, when sending a care package, please do make yourself aware of our prohibited items list before purchasing things to be included in the care package, as there are some items that cannot be shipped on our service. My Baggage can also ship a rage of sporting equipment to Finland, meaning you can continue playing your favourite sport, with your own equipment when in Finland. As most sporting equipment can be expensive, we recommend packing it well internally and externally. Using bubble wrap and newspapers inside can cushion the sports equipment, reducing the likelihood of breakage. If you any questions regarding shipping your sports equipment on our service, please do not hesitate to get in touch. When shipping from the UK to Finland or anywhere else in the EU, goods do not pass through customs clearance and therefore are not subject to import tax or duty. If, however, you’re sending to Finland from a country outside of the EU, such as the USA or Australia, you are then legally required to complete and attach a customs invoice to your shipment. Generally, My Baggage shipments clear customs in a timely manner, free from duties and taxes, as most countries offer a generous duty-free allowance for personal effects. However, as customs processes and allowances are different around the world, and because My Baggage has no control over any decisions made, we do advise doing your own personal research into Finland customs regulations and quarantine before booking your shipment to Finland. Please make yourself aware of potential customs duties in Finland and be sure to follow any and all advise provided by customs directly. 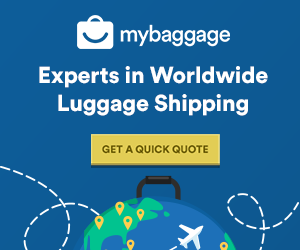 At My Baggage, we’re experts at shipping personal effects all over the world, meaning you can send almost everything you would typically find in a standard holiday suitcase on our services. However, due to security and customs, there are items which are prohibited and cannot be carried on any service, as is standard with most shipping companies. Please note that import allowances, security and customs processes differ all around the world; we recommend that you do your own personal research into what may be prohibited in your destination country before booking your shipment to Finland. When sending your belongings to Finland with My Baggage, we recommend using either suitcases or strong cardboard boxes to package your items so they are suitable for transit. Booking your luggage shipment with My Baggage couldn’t be easier. Thanks to our easy to use online booking system and convenient collection and delivery service, you can arrange absolutely everything from the comfort of your own home. Simply start by obtaining an instant quote straight from our homepage. We give you the flexibility to choose your preferred collection date during the booking process. Then, once you’ve booked, we’ll send you some shipping labels to print and attach to your items. It’s easy!